When I was growing up my Dad would often drive into town and pick up the Sunday New York Times. As I got older I enjoyed reading not only the magazine but I started perusing the classified, looking for my “someday” job and apartment. Oh, the dreams I had of what could be……and then life took another pathway. I’ve had a checkered past. I earned a degree in geography and urban planning, but my first job out of college was for the Tennessee Supreme Court in the court administrator’s office. They were starting a judicial PLANNING division and so, since I had a degree in urban PLANNING, I was hired. It was fun but as I realized I was getting further from my education, I looked for and moved to the planning job. For three and a half years I actually worked for a planning and engineering company and really enjoyed it. But again……life took another pathway. There was a death in my husband’s family. His mother asked us to move to Connecticut to take care of the estate issues. We lived in the house rent free and would until it was sold. One of my tasks was to determine the market value of the property and in doing so, we listed it for sale and boom! we needed to move within a couple of months. I was looking for work as a planner but we were in the middle of a recession then and jobs were scarce. So… life took another pathway. I started working as an real estate agent for the broker who had listed the house. While I did well, I didn’t particularly enjoy it. Showing houses was a challenge because I did not know the area well and there were no apps with a talking GPS (hey, no cell phones at all) in those days so I had to rely on paper maps, all the time portraying an image of competence to the buyers. That was stressful enough but the part that made me more uncomfortable was listening to a homeowner extol the cost of the renovations he had made when it looked like a piece of incompetent amateur construction. And then Baby #1 was born and I no longer wanted to put in the long hours needed in that kind of sales position. Once again…. life took another pathway. When I told the broker I was going to let my sales license go he persuaded me to start an appraisal division of his company. I built the reputation and business started coming in nicely and then I needed to hire some staff. The broker told me he was moving to California and was selling the real estate business, including the appraisal division. I said no way, it may be your name but it was my blood, sweat and tears. He very much understood and so, I soon owned it. 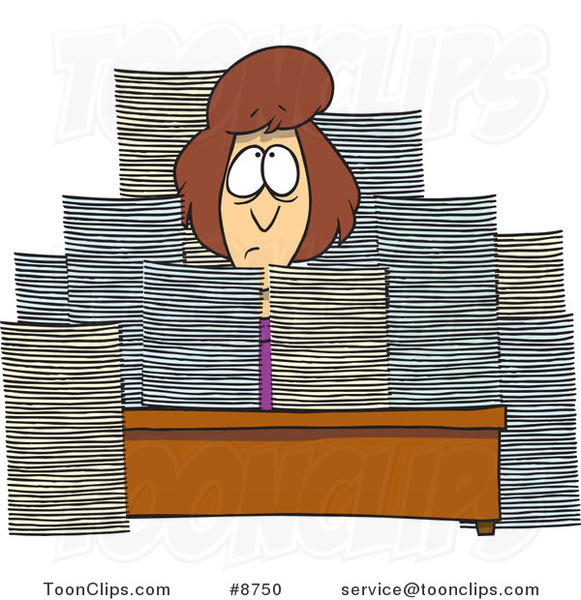 I got a partner who had the bookkeeping kind of background and so we went on, growing during the 1980s real estate boom to 12 employees. (Although I planned longer, I only was able to take off one week when Baby #2 was born.) And then there was another blip in the financial market and property values started to decline. Where there is no room for a second mortgage or a current home value did not support getting the mortgage refinanced, there are no appraisals. We closed the business and…… life took another pathway. By this time I had had baby #3 and no income. My husband got laid off. We ended up moving from Connecticut to Tennessee where I stayed home with the baby. Then my husband was diagnosed with brain cancer and after surgery, radiation and chemo I got a job at Vanderbilt Medical Center, working for one of my husband’s eye doctors. I had looked for a managerial position at Vanderbilt and when HR asked me what salary I wanted I thought about what I had made in the good years in Connecticut and then made a “cost of living” adjustment and said $30,000. They laughed…too high apparently. Anything lower would not help the family so I changed my resume to administration instead and ended up taking that first position as an AA for $18,000. I figured if I was not going to earn enough money I might as well not be in charge of anything. And so….. life took another pathway. After five years of learning eye health jargon, things changed when the doctor in charge left. My position was eliminated but I was not, so HR moved me to another place in the hospital. The boss was, to put it nicely, a challenged individual. I left and move over to the university side of Vanderbilt to the Department of French & Italian. More new things to learn and master. And then my husband died and there I was a widow with a young child. Graham entered my life and I sure made him work to woo both of us. And there I was again….my life took another pathway. My kiddo and I joined Graham when he went on sabbatical to Colorado for six months. I thought a start together in a neutral location would be good. We made friends and when it looked like he might be offered a job there I started looking for work. I had a sweet sweet double interview with the statewide blood bank and they offered me a position for a beautiful salary. I came home from that interview to be told we were moving back to West Virginia. Ha ha…guess what….. my life took another pathway. Looking for work in the Rust Belt was a challenge. I finally was hired as a practice manager for a financial adviser. Since it was a start-up I accepted a lower than desired salary with the promise of bonuses that would boost it to the sky (dream on, eh?). That never happened. After three years of building that business into something sustainable, I asked for a $10,000 raise and he basically countered with 50 cents an hour. I resigned. This time, definitely my choice…..my life took another pathway. I started to build up my book selling business that I had been running on a small scale for about 12 years to provide additional income. I was able to match that prior salary for the next two years while having the time to also get involved in the farm-to-table movement and helping build The Wild Ramp. All the time, we were planning for my husband to retire when my kiddo left for college and so……my life took another pathway. We moved to Oregon just about four years ago. I applied to about 50 jobs, making sure each cover letter and each resume was custom tailored to each specific job. I never heard from 46 place, but had four interviews. One had the grace to tell me I was overqualified and they were sure I would be bored and quit. I countered with an comment (I had nothing to lose) that at this age I would love a job I could do with one hand behind my back. But no job was offered. (Ageism is one more hurdle to getting a job that needs to be fixed. Date of birth information can no longer be asked, but they can and do asked for education information, including year of graduation. I think you agree, most of us complete high school at age 18, so extrapolation is easy.) So feeling ready to do anything….. life took another pathway. I took a summer job as a farm hand. Yes, me. I never ate so much ibuprofen in my life but I did it and learned a lot more. In all my effort with The Wild Ramp I had probably visited 100 farms and had heard their stories. Now I got to get a (very small) taste of the life farmers live. And the experience confirmed something I already suspected: I am not a farmer. But I need my farmers (we all do) and respect them highly. And so, taking a plunge……my life took another pathway. I started up the commercial food processing business, Can-Do Real Food, to support local farmers by preserving their surplus produce by canning and dehydrating. (This gives the farmer another income, provides consumers a way to have a taste of the local summer harvest any time during the year, and reduces food waste.) When we moved to Oregon I learned to can, so I had one year of canning at home. Other people have forgotten more than I have learned but it has been a pretty amazing experience. You can read more about it at the Can-Do Real Food blog. In the past year I had been dealing with a knee that has been injured but there is nothing surgical that can be done to fix it. It forces me to walk a bit wonky which has now affected my hip joint on the other side. I am in a new world of hurt and so…..I suspect my life is about to take another pathway again. Through all these years (63 and counting) I have received continual education. The first part is one we all are fed K through 12. The next was the narrowing down of a field of study (college). And since then, through work and seminars and conferences and self teaching, the learning has continued and increased. I urge everyone I love to never stop exploring, never be afraid of change. I know jargon related to the legal profession, the medical profession, the academic profession, and now food processing (and government regulation thereof). I wonder what’s next! Whatever it is, I strongly doubt I will ever live in New York City! Categories: agriculture, business formation, communication, cooking, court, economy, education, exploring, family, farming, Food, food preservation, freedom to chose, government, health, illness, law, Life decisions, local economy, Local Food, Moving, plan, Retirement, values, Work | Tags: Can-Do Real Food, choices, Connecticut, decisions, education, food, government, Health, local food, Oregon, West Virginia | Permalink. Yesterday I realized that I have not written anything on this blog for about a month. Just now “what” to write hit me, thanks to a conversation on Facebook. No, for a change, this will NOT be about politics. It is about my new life as a pothead. Well, actually not quite a pothead. One of my Oregon friends thinks I may be the only cannabis user in Oregon who is not driving under the influence. This may (does) have its pleasurable effects, but this is not a recreational activity for me. I was a senior in high school when someone close to me (who will remain nameless and blameless) introduced me to weed. That definitely was recreational. In college the drug of choice was booze and that was illegal enough thank you. But I was an RA and would knock on the doors of the rooms where smoking was obviously happening and instruct them on how to use a wet towel. That was definitely pro-user activity. In the late 1970s I lived in a city in the South and a friend invited me to his family’s home to watch Superman when it was first shown in HBO. He lit up a joint and offered it to me. I enjoyed the show and I don’t remember if I was uncomfortable driving home after, but since there is no memory about it, it must have been fine. In the mid 1980s a friend and I went on a weekend getaway to her family’s vacation home in New England without any husbands or kids. Another friend handed me a small gift, as it was my birthday and told me to open it when we got to our destination. Inside a Sucrets lozenge box, several joints. It was a chocolate weekend. That is not all, but the jist of my prior life with pot. Not regular at all. Never enjoyed when responsible sobriety was needed. Definitely recreational. Since then I heard sometimes that people with cancer smoked marijuana and it helped. It helped with nausea was one thing and when we were dealing with nausea from chemo issues in the 1990s, the meds the doctor gave took care of it, so no need to search out the underground market…probably available next door, right? And then we moved to Oregon and they already had medicinal cannabis. The dispensaries were established and things were regulated. The referendum for recreational use passed with 56% of the votes. I suspect there were as many “yes” votes among the Baby Boomers as there were in the Millenials. The legal requirements for legal grow operations, laboratories for testing, kitchens for preparing edibles, and shops for selling had to be worked out, so it took over a year after the law was passed before the recreational shops were open. Today, some shops sell only recreational pot. Some sell only to people who have medical cannabis cards. Some sell both rec and medical. The medical side has different recordkeeping to meet the legal requirements of that early law. I prefer to go to a dispensary that sells both as I am, at this point in my life, using the cannabis to help a medical condition. I have not asked my doctor for a medical card. It is at least a 3-step process including an appointment with another doctor and can cost $800 altogether for people like me (not a veteran, on disability and elderly-I’m too young. LOL). The benefit: no sales tax. 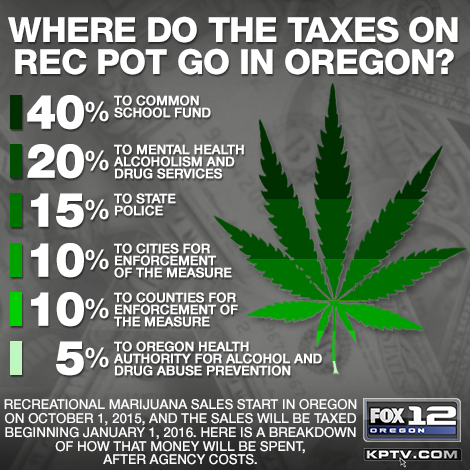 In Oregon we do not have a sales tax……except on recreational marijuana. (It probably was THIS benefit to the state financial coffers that convinced the “weed is evil” side to vote yes. After all, they can enjoy thinking the stoners are paying for their sin.) Since I do not use a lot of pot over the year a card would be valid, I did not think the little bit of additional in tax would offset the fees. Anyone my age who purchased weed in the 70s and early 80s purchased a sandwich bag (ounce) for $10. The pot in late 1970 was $40 for the baggie and was a strain known as Acapulco Gold. The baggies had leaf, stems, some seeds generally. Now you can buy seeds, you can buy bud, sometimes you can buy leaf (shake), you can buy pre-rolls. You can buy extract, you can buy creams and salves. You can buy candy. 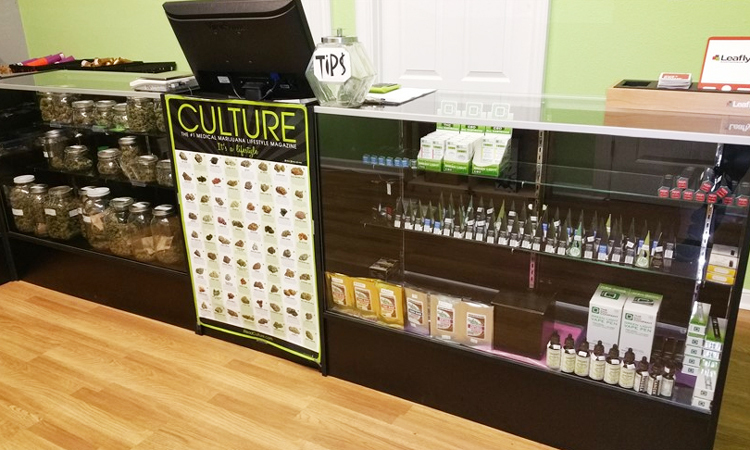 You can buy infused products like tea or oil. The bud is the most popular. The strains sell for about $200-400 an ounce (that sandwich baggie) so most people buy a few grams, sort of like heading to the store for a 6-pack. Me, I bought half an ounce. I prepared the canna butter yesterday and the gingered pear bars are out of the oven now, aroma wafting through the house. Why do I turn to cannabis? Two reasons. Simply, I am in pain almost all the time now. My stupid ski accident at age 19 was exacerbated by the bacterial meningitis I worked through about 15 years ago. The pain in the knee started the next year and the doctor assured me it was “only” arthritis. For years advil was my help. Then I switched to glucosamine in all its combinations. When we moved here almost 4 years ago, I started getting acupuncture and that helped me be pain-free for 10 days. But last June I twisted my knee and have minor meniscus and ACL involvement. Two docs say it is “only” arthritis. But a year later, I am not back to where I was before the knee twist and now having sympathetic pain on my other leg because of my screwed up gait. Again, if you are about my age, you may be feeling some joints now too. I hope not. Second, my asthma. I have been concerned with the Congressional shenanigans. I promised it will NOT be a political rant, but I feel I’ve been on the “am I going to die because I can’t afford medical insurance” roller coaster. My two medications that help me breathe cost $1000 a month out of pocket. Simply can’t do that. Can’t afford it. And THEN I started hearing how inhaling pot helps asthma. That’s insane! People with lung disease like asthma can not smoke!! That’s why I make edibles! Smoke pot to help me breathe? Yes, it dilates the bronchi; in fact I read a medical research extract dumbed down for non-medical readers that said it was the THC specifically that helps the deeper sections of lung also dilate. Being Oregon, I got into a short discussion about pot at the UFO Festival in May. The guy handed me a joint telling me it will help. (Yes, I love Oregon) Over 3 days I tested the concept and yes, within a short time I could draw a deep breath without any “pulling” tightness. The next morning, still good. Then my friends stepped in with their recommendations. One vapes. One gave me a bong. Decision made. So, why did I write this? Because medical marijuana is available in 29 states, while recreational pot can be (or will be able to be once they get it set up) in 8 states. And, of course, your neighbor still buys his from his coworker’s cousin, just like he always has. In other words, marijuana is around you. And yes, there are people smoking to get high or stoned. Just like there are people getting drunk or pissed on booze. And just as others seek their escape in street drugs. But there are more people of all ages using the beneficial aspects of cannabis for a medical reason. 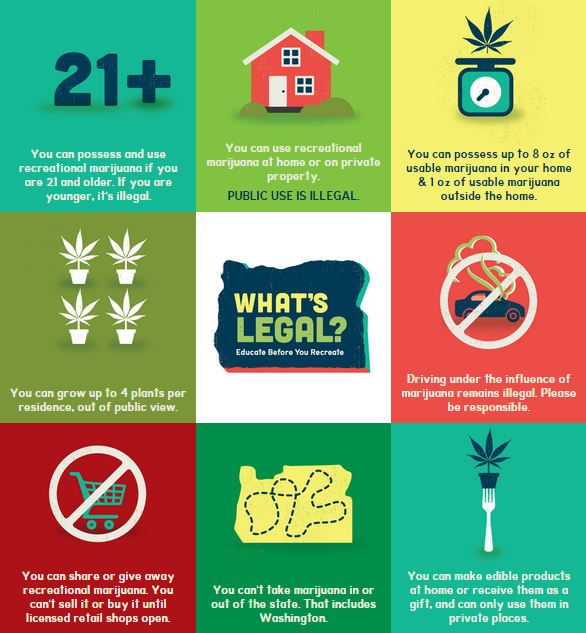 Categories: exploring, freedom to chose, government, health, law, Life decisions, local economy, Oregon | Tags: asthma, choices, decisions, government, Health, life decisions, marijuana, Oregon, pain, pot | Permalink. Have you ever wondered how you are going to die? Back in the late 1960s my father’s sister developed breast cancer. If you are old enough, you probably remember that cancer was so horrific with few cures in those days that most people never said the word. It was the Big C. If it was uttered, it was in a whisper. Watching her decline, I assumed I would get breast cancer. My mom and all her side of the family died from issues related to heart disease. No doubt in my mind that I have a genetic disposition for that. I am not a morbid person. This is not anything that fills my waking hours with dread. I am not afraid of dying; I just have a lot of living yet to do, so I don’t want to go before my time. But recently, very recently, I have been staring at a new death option. And it makes me angry. With the threats/promises to repeal the Affordable Care Act, the Republicans in our lives have also threatened and promised to kill 20 to 30 million people in this nation. We, the ones with the death sentences, are your neighbors and your family members. Why will we die? In my case, I will suffocate. I have chronic asthma. It is well maintained with two medicines that currently cost me $100 a month. Their out of pocket cost, without insurance, is close to $1000 a month. Guess what? I can’t afford that. 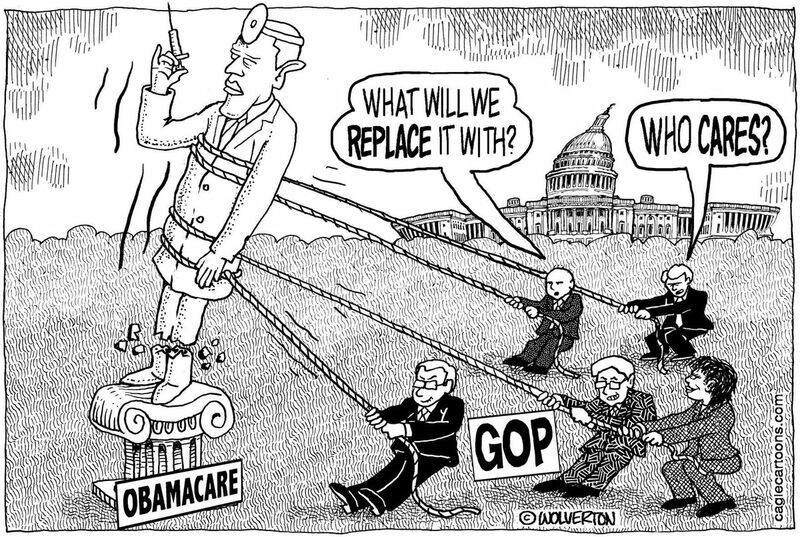 So, very simply, if Congress in their infinite wisdom think it is more important to destroy the law because it was implemented by Obama, instead of fixing it (good luck with that if you want to keep the insurance companies in charge, but that’s another story and blog) I will die. So now the question is, will you also die? Will people you know, people you love, also be murdered by Republicans? That sounds harsh, but think about it. There are two components in the ACA that help people. First, the insurance premium (set by the insurance companies, not the ACA) is reduced based on income. This is part of the benefit that will be removed. The premium I need to pay is $535 a month. Before the reduction, which is based on my income, my premium would be $875 a month. Secondly, the ACA eliminated discrimination insurance companies had based on pre-existing conditions. I was diagnosed with asthma when I was 5 years old. This is a pre-existing condition that before changes in the law meant I had to wait 12-18 months when changing medical insurance companies (because of a change in jobs) to be covered. I was fortunate that my breathing issues were pretty minor until I moved to West Virginia in 2007. The Ohio River Valley is one of the areas in this country with a high cluster of breathing problems. After decades of heavy industrial air pollution and the way the air currents flow, the environment caused a major decline in my ability to breathe. My health issues were covered at the time because of a change in the law back in the 1990s: employer offered health insurance would not have the pre-existing restriction if the employer had more than 100 employees. My husband worked at one of the state universities, so we had a state employee health plan. So, I was able to be treated for the asthma while we were living there. But in anticipation of my husband’s retirement, the question of my healthcare once again raised its head. His retirement package included an extension of my health insurance coverage but that would run out before I would become eligible for Medicare. I anticipated a major gap of coverage and was very pleased when the Supreme Court ruled the ACA could be implemented. And so, I have been able to continue to have insurance. I have written about my lifelong experience with my health insurance coverage in January. I did that not to elicit sympathy but to share what I believe is common situation. Many of us have known people who have had someone with a major illness and our American healthcare insurance coverage has always been a factor in the rising number of bankruptcies in this country. When we talk about “millions of people will die” if the Affordable Care Act is repealed the number is hard to understand it. 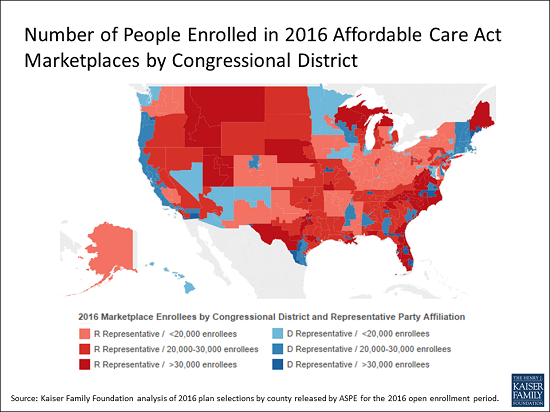 Recently, a health-care analyst broke the statistics down to Congressional districts. In other words, if Congress decides to erase our health care, they will lose this many people (voters) in their own districts. I now know I am one of almost 80,000 that will be affected in my Congressional District. The difference between me and you? I know my Congresswoman, Suzanne Bonamici is one that is working to keep the program. What about YOUR representative? Take a look at this effort to provide the information on a scale where we can realize how many of our neighbors will be dead if Congress moves forward on their promise/threat. All because its nickname is Obamacare. Categories: government, health, Life decisions | Tags: ACA, Congress, decisions, government, Health, Obamacare, politics | Permalink. If you’re lucky, you had a least a handful of teachers who significantly and positively affected your learning. They stand out among all your teachers as being special and teaching you more than just the subject matter assigned. They taught how to understand the “WHY” of what you needed to learn and if you were REALLY lucky, they taught you how to continue to learn on your own without needing someone giving you assignments. Mrs. Umholtz was one of those special teachers in my life. I learned a lot in that 7th grade class. I learned about the stock market by pooling my dollar in a classroom investment. She taught us poetry and made us memorize some classics like The Midnight Ride of Paul Revere (I know my friend Liz can still recite it!) and High Flight. More, I bet, but that’s all I can remember after 50 years. I learned state capitals. I learned the changes in Africa as nations there were gaining their independence from colonial powers. I learned how to research and write reports that included complete sentences and coherent presentations that the reader could understand. I learned what many other kids and many adults never have: I learned how our government worked. We discussed each branch of government extensively. We had to memorize (oh yes, she was big on that) the names of LBJ’s Cabinet and learn the responsibilities of the various Executive Branch departments. We learned about how Congress enacts a bill and visited our statehouse in Trenton, getting an insider’s tour since one of my classmates’ dads was a Representative. We learned about how the Supreme Court, as the highest court in an extensive judicial system, gets presented with appeals and goes through a selection process to only hear the ones that actually are about points of law. Our world is spinning seemingly out of control right now. Arguments and fighting seem to be the way it goes now. Unsupported boasting is believed and causes distraction while changes are being enacted quietly in the self interest of the people who hold power, ignoring they are our representatives and we voted for them. It seems in the past year my writing here on this blog has turned more and more to commenting about the social and political aspects of life here in the US and how disturbing issues are. Not only the causes but the fact that no fix is presented. It seems we have become us versus them. It is hard to engage in any dialogue with anyone who does not hold a similar viewpoint. Let’s start with some basics. Why not a system in our communities to educate all residents how the system works. 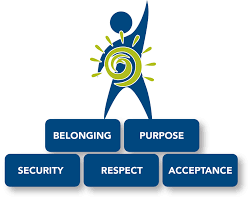 What the community does to take care of the needs of all of us. But the basic understand must happen before we start arguing. And can we learn to present our opinion in a way that permits others to listen? And please test yourself…..how much do YOU know about the basic issues of our nation? This is the basic knowledge you should know. 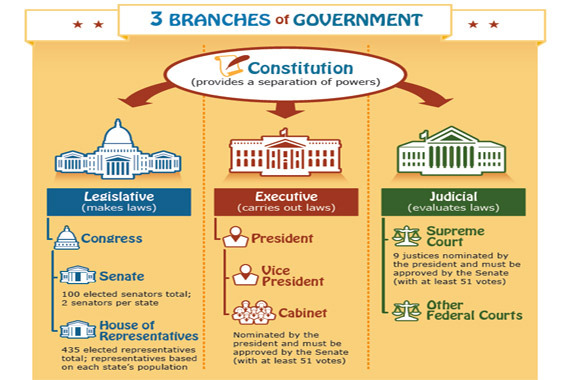 Categories: democracy, education, freedom to chose, government, history, politics, United States | Tags: citizenship, civics, community action, education, government | Permalink. Like many others I was hoping, but not expecting, the Electoral College to act in an unprecedented but authorized way to negate the Trump presidency. Had that happened, however, it would have opened other doors of unknown outcome, so maybe this is the best way. This way, we can hold the incoming President to his Constitutional duties and responsibilities. We do have guidelines for that and will know when he inappropriately strays. I expect he will stray, as his prior comments indicate he is not clear on much of what is ahead of him. Meanwhile, enough angst. Each of us either feels distress now or will soon. Each one of us. The efforts of a Republican Congress backed up by this President will mean we have big changes ahead. It is the anticipation of some of those changes that have people already upset. However, the rest will join the fray when program cuts begin to affect them. When campaign promises go by the wayside. When life does not get better for the many many people who expect the Federal government to fix things for them. I have said often on my Facebook feed that I will stay vigilant and be as active as I can to help retain the rights won by all of us to give equal access and protection of the law to all our citizens. I will stay vigilant and be as active as I can to make sure the least of us continue to be helped regardless of any political stance. I will stay vigilant and be as active as I can to make a positive difference. 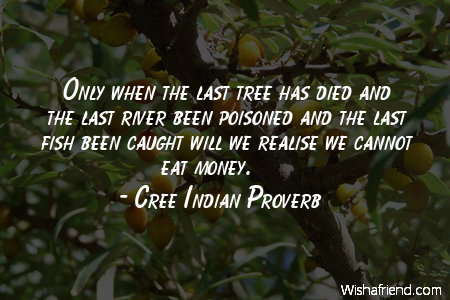 Back in 1970 when Earth Day was initiated I heard a slogan that resonated. “Think globally but act locally.” We know the earth has overwhelming issues, not only environmental but in every aspect of life. We have a choice, each one of us. 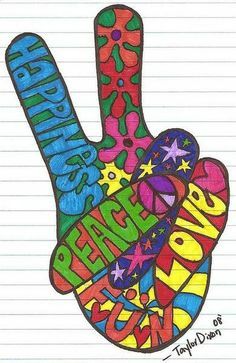 We can ignore and carry on, dong what we do that may help or hinder any situation, self-centered and choosing to stay apart from the community of the world. We can get stirred by all the need in the world and affected so deeply we can’t deal with it, so we freeze, stuck in despair. We can opt to get involved in one or two issues that deeply resonate. We may send money or sign petitions or write letters or emails or even show up at our state capitol to join a protest. 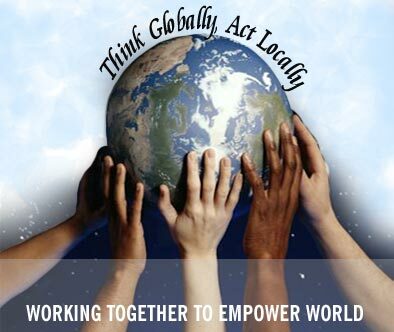 We can chose to get active in our own communities, making our voice and action count where it will show a difference. I’ve done each of these. Earlier in my life I was focused on my own young adulthood and all that involved including building a career and raising a family. I had a nodding relationship with a few issues but not much money and not much time, so not much involvement. I’ve been on listservs that overwhelm me with need. It seems that I receive more than 20 a day with hands outstretched asking for $1, $5, $25 or more. It was with extreme pleasure that I unsubscribed from almost all recently. I sign petitions and sometimes post them on Facebook urging others to take the minute to add their support. It seems to be the LEAST anyone can do. I hope by this example you can see how you might work through the coming years when so many of us feel what we have known about the United States of America will be changing. I plan to keep on keeping on. Joining with other like minded people empowers all of us. Categories: anticipation, community, democracy, emotions, ethics, freedom to chose, government, law, Life decisions, plan, politics, United States, Volunteer | Tags: anger, choices, community action, decisions, election, emotions, ethics, government, life decisions, politics, volunteer | Permalink. I believe we need police. There are people whose ethics are so debased that they do what they do whenever they want to do it and so, take advantage of people, destroy property, assault people and more. We need police to help protect us from them. To identify them and to hold them apart from society in order to protect society. In the past year the police themselves have been targeted because of anger over unequal treatment by police of minorities. However, it is right and proper to condemn the attackers and support the people in blue who serve us. To mourn their killings and support their families in their loss. But….sometimes, it becomes clear that law enforcement is serving private interests, not the law. 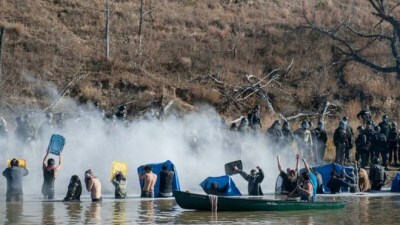 We saw it during the Civil Rights movement in the 1960s and now, we are seeing it again against the Indigenous People who are protecting the Missouri River. Because the pipeline is being constructed by a corporation with profit forever as the primary motive, those people care more about their pockets than their future ability to obtain clean water, we are seeing the subversion of police to serve private needs over the public good. Many of you know about the stand-off at the Dakota Access Pipeline. Many of you do not because it generally is not covered by the major media. Here is a New York Times article from the end of August which will present the issues at that time. 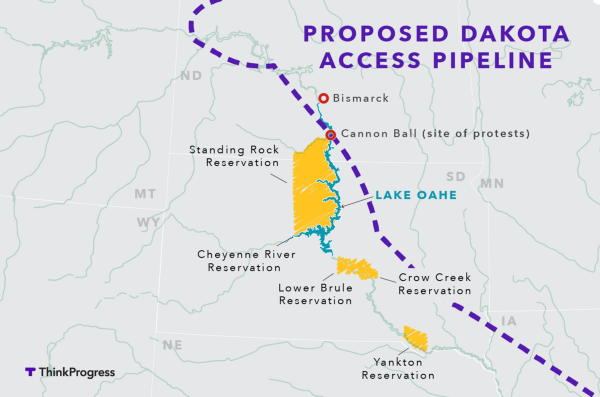 The protesters initially were from the Standing Rock Sioux Reservation, located just south of the planned Missouri River crossing. They are protesting not only the destruction of some ancient heritage sites, but the very real possibility of an oil leak polluting the water so many people depend on for drinking. Now, called Protectors, the people there include not only Indigenous People from all around the country but many allies of all races, cultures and religions that arrived even with cold weather to stand with them against the wrongness of police standing to protect private interests. So now we have nonviolent protesters who have set up their camp in the way of the proposed pipeline. We have nonviolent protesters who stand at make-shift barricades blocking the pathway. Facing them we have police from law enforcement agencies that are not only local but from across the country, suited up in riot gear. They have used water cannons (similar to what was used to knock down peaceful protesters in the 1960s) in sub-freezing temperatures, causing many people to require hospitalization because of hypothermia. 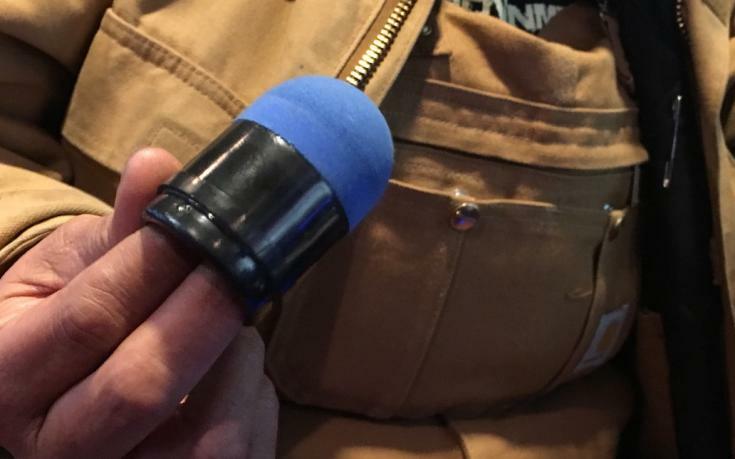 They have used rubber bullets to shoot at people, causing injuries. The most heinous occurred two days ago when a young woman was hit in the arm which may need to be amputated. The way this protest is being handled is in stark contrast to that of the Bundy group who invaded and took over a federally owned wildlife refuge. Not only did law enforcement officials give them a lot of room to move on and off the property, but it ended shortly after the police shot and killed one of the protesters. The trial exonerated all the protesters, leaving us Oregonians scratching our heads, wondering why we tax payers need to cover all the damage they caused to the site itself. 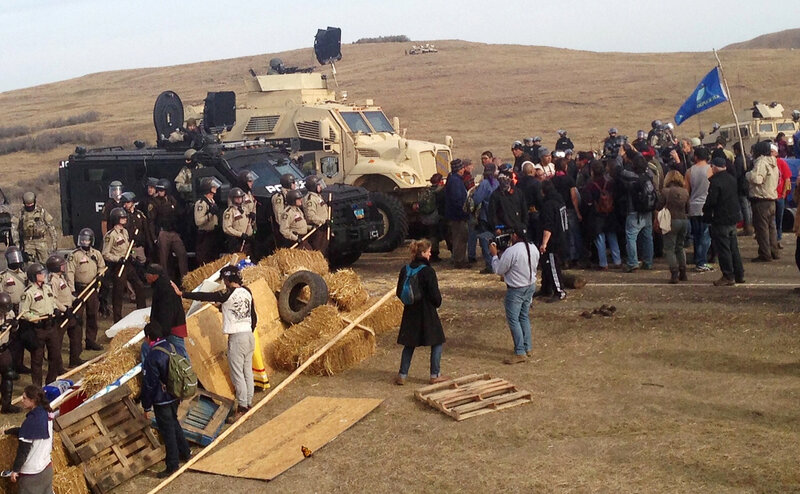 The law enforcement presence in North Dakota is not being as strongly aggressive as they could be, thank goodness. If the bullets become standard and people start dying I believe this protest will not end. It will become even larger. Now we hear that the Corps of Engineers will require the camp to be moved to a location south of the river to “protect” civilians from being hurt. Is that a veiled threat to say “you stay, you will pay”. They were told they must vacate by December 5th. My son-in-law is on his way there now. He has learned there are over 15,000 people with the Protectors. This is not some small protest. This is water versus gold. Categories: community, corporate profit, democracy, environment, freedom to chose, Life decisions, natural resources, water | Tags: choices, Environment, ethics, government, Health, militarized police, Missouri River, politics, Standing Rock, Water Protectors | Permalink. I grew up and voted for the first time in New Jersey. My parents had taken me into the voting booth with them every year while I was young. It was the kind with a curtain. You would move the handle, the curtain would close (did anyone else besides me think of the Wizard of Oz?) and the levers would be there for the pushing. It was possible to push down a party lever and all the votes would be moved, but my parents said it was important to always check out each candidate, no matter the party, and vote for the best person to represent you. They voted line by line. All levers moved, the handle would be moved back and the votes counted as the curtain opened. I moved to Tennessee and then on to Connecticut and then back to Tennessee and then to West Virginia before moving to Oregon. 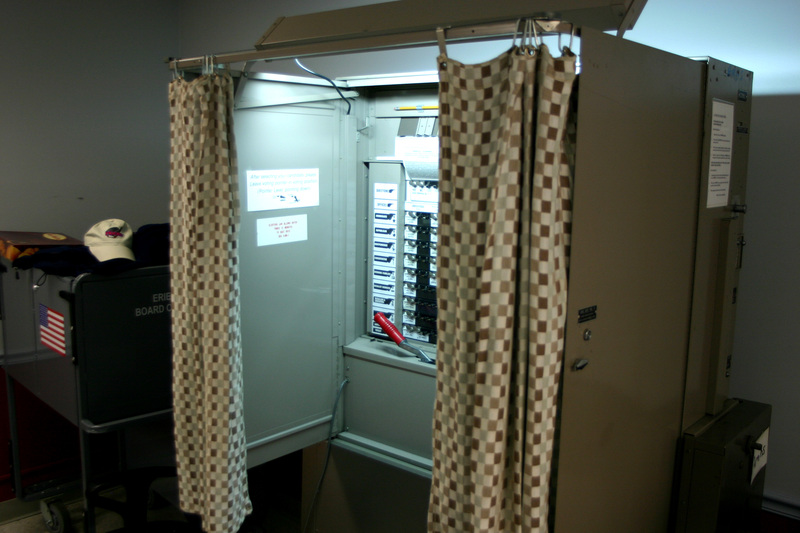 I voted on similar machines and then, as computerization was implemented, a variety of electronic machines. 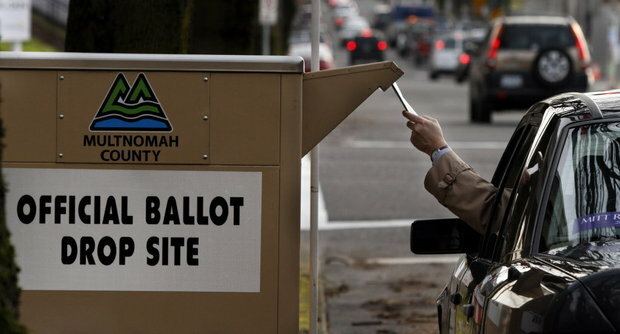 When we moved to Oregon we didn’t have enough friends to explain the fine points of the vote by mail system. We ended up not getting our ballots mailed on time. Since then I try to help newbies. The vote by mail system is really very easy for people to use. There is no issue about taking time off from work or waiting on lines at the polls. We get our ballots about 3 weeks before election day and can mail them in up to 5 days before. At any time during those 3 weeks, we can drop the ballot into a ballot box, similar to a mail box but painted white and sporting a lot of signs that say BALLOTS ONLY!!!! At least one ballor box is located in each town and many more in cities. (Here in McMinnville we have three. ) The box is open until 8pm on election day when a team (at least one each from the major parties-volunteers needed) pick up all deposited ballots and lock the box slots. The ballots are taken to the County Clerk’s office. Still sealed, they are set facing the same way and then a team of people scans each exterior envelope’s bar code. Yes, the envelope has a bar code, right near the signature line, that identifies the voter. The scan enters the name into the database for the next step, verification of the signature. 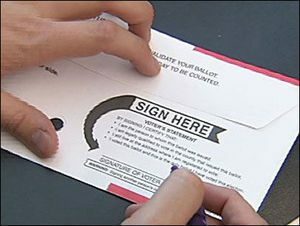 A photo of the signature at time of registration is on screen and the worker verifies the signature on the envelope with the signature at registration. If the signature matches, the data base is updated with the information that that person has voted. Any envelope that has no signature (a requirement) or a signature that is different from the original are put aside for further work. 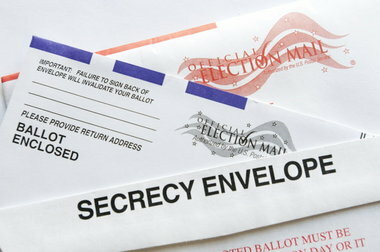 Once an envelope is confirmed to be from a legitimate voter it moves to a different work station where all envelopes are opened but contents are kept intact. The next station is where contents and envelope are separated. The contents are still folded and most often in the privacy slip provided. This station works as a team, 100 ballots at a time. One worker is a registered Democrat, the other a Republican. A lot of repetitive work…envelope to one side, folded ballot to the other. Then a count is made to confirm they have the 100 they started with, and then move to another work station. This station is where the ballots are unfolded and visually scanned by another Republican-Democratic team to verify any write-ins or markings that cover any area of the ballot. Again a count is made to confirm, 100 in to that station, 100 out to the next. Folded once more, the ballots are sorted by precinct….that number is printed on the ballot that was originally mailed to the voter. The precinct information is obtained to provide basic voter turnout data. 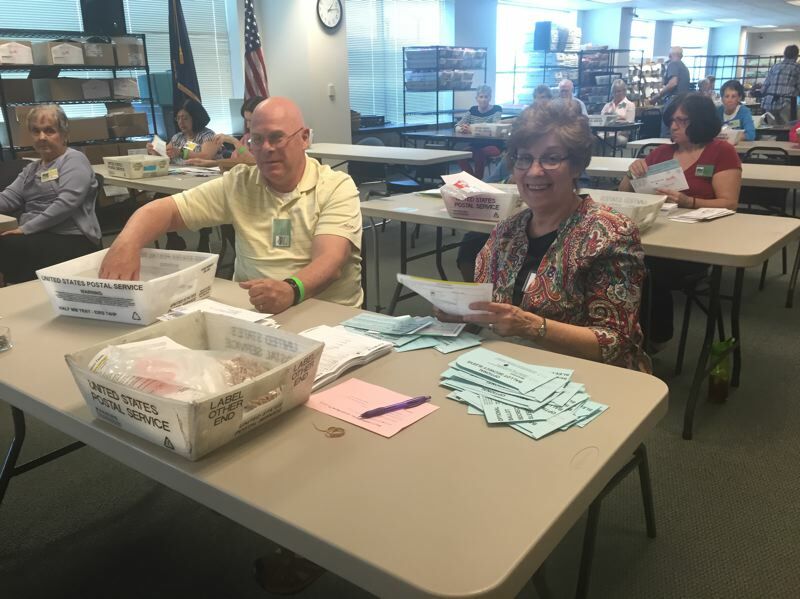 From there, boxes of 100 ballots are then sent to the next area where the next check is to see if there is only one selection marked for each race. If a ballot marks two candidates in the same race that required selection of one, the ballot is set aside for voter confirmation. Only then, at the next step, are the actual votes tabulated. 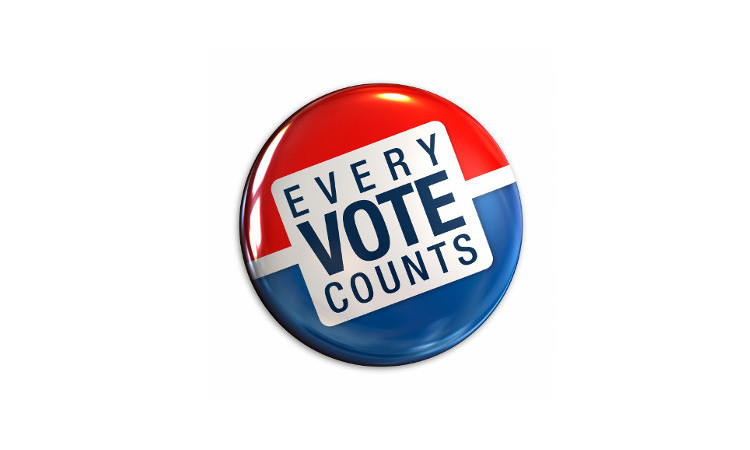 There is no way to match any given ballot at the last step to any specific voter. Privacy is ensured. This vote-by-mail system is, as you read, pretty labor intensive. A computerized machine can give results almost instantaneously. So yes, it takes longer. So there has to be a benefit, right? With the system in place in Oregon, there is no concern for manipulation of computerized hardware or software. With most areas having pairs of workers, each with a different party affiliation, with all the counting before and after to verify no ballot was moved away, there is a security in knowing how you vote is how it is counted. The largest benefit is voter participation. Election after election Oregon has one of the highest voting percentages in the nation. This time, it was interesting to note that we had a higher turnout than ever. Last year we the people approved a referendum to start motor-voter. That means that for any DMV transaction the person will be registered if not already on the rolls. (Lots of verification for citizenship and other aspects that restrict voting done before a new person is considered legal to vote.) So Oregon’s turnout for this election was 2 million voters. But the percentage of participating voters was down a bit. It was 78.9 %. However, nationally it was 56.9%, significantly lower. Why do people chose not to exercise their right to vote? They could be unable to actually get to the pools, either because of transportation issues or a work schedule that won’t permit it. They could be sick, unable to go to the polls. All these people forgot they could vote with an absentee ballot. Others, could think it is not important. They could believe that their one individual vote won’t make a difference. They could be so disgusted at the whole thing..the selection process…the advertising…..the rudeness….that they just step back. And more. 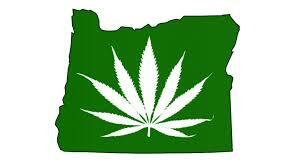 At least here in Oregon it is easier for us people. And the protections leave me confident that the results are an accurate portrayal of each participants vote. Information is from experience. Not only am I a voter but I am also a volunteer. For the past three elections, Graham and I have been ballot box closets. This past Tuesday we also observed the process for a couple of hours. Anyone can sign up to do that. Categories: democracy, freedom to chose, government, Life decisions, Oregon, United States | Tags: choices, decisions, government, Oregon, politics, vote by mail, voting | Permalink.